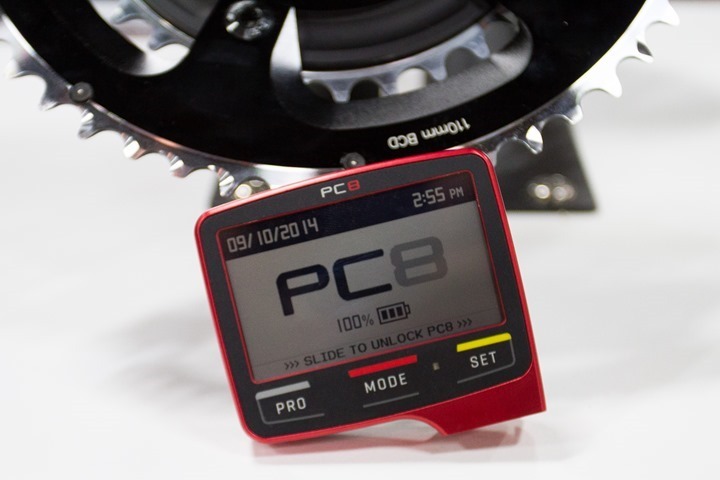 While at Interbike I sat down with the SRM crew that’s working on their updated PC8 head unit. While our discussions started there, they roamed to areas such as the iOS app, rechargeable power meters and the general trends around power meter price point. First up, the PC8. As I noted a few weeks ago at Eurobike, the current schedule has this slated for December (2014) availability. At the same time, the iOS app would be made available. Thankfully, all of the features noted last year have been retained, so nothing was cut along the way. There is one PC7 item not in the PC8 that I’ll cover in a moment though, which will primarily affect track users. Interestingly, we had a bit of a side conversation on battery. 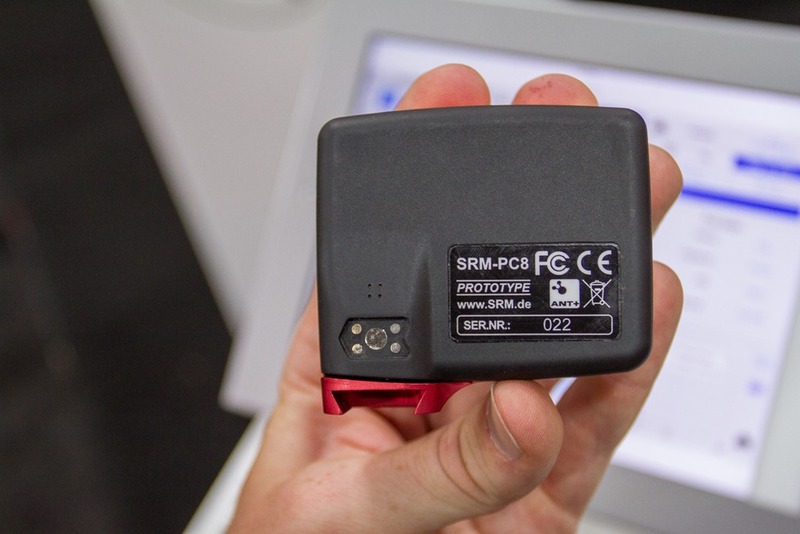 That’s been one major concern for SRM PC7 users today, because many folks worry that with the PC8 including GPS it’ll significantly kill battery life on the unit. The PC8’s batteries are quite simply just two PC7 batteries stacked on top of each other inside the PC8. In the variable recording mode it’ll automatically vary the GPS recording rate depending on the speed and position, using a feature known as ‘Always Locate’ within the Quectel L76 GPS module that it contains. This means that if you’re going faster descending on twisty roads than it’ll record at a higher rate, whereas if you’re sitting at a stoplight, it’ll lower the recording rate. Now as I noted above there is one limitation currently in place – which is that the fastest the PC8 can record data today is at the 1-second recording rate. This is slower than the higher speed data mode offered on the PC7, which can record at half-second recording rates. This functionality is almost exclusively used in track applications rather than typical outdoor riding. There is perhaps some good news down the road (or track) though in that category – which is that SRM “would love” (an exact quote) to be able to jump onboard an established ANT+ high speed data rate power meter profile rather than making their own. This is something that’s been discussed frequently within the ANT+ Power Meter Technical Working Group (which all power meter companies except Polar/Look are members of), however, it’s never quite come to a consensus on how to record the data. Perhaps with the TWG meeting next week at the annual ANT+ symposium (which SRM is confirmed as attending), there will be some standards decided upon. Ultimately, I get the feeling that if that doesn’t happen this year, we’ll see more companies shift to DIY options on Bluetooth Smart (like what Stages has done thus far). Of course, it’s not just the PC8 and mobile apps that consumers have been waiting on. They’ve also been waiting for SRM’s rechargeable battery power meters (the power meter itself, not the head unit). Unfortunately, that wait will continue for some time. 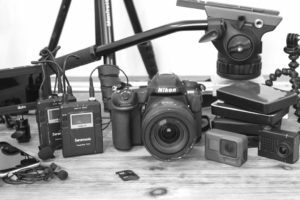 At this point they’ve come to a bit of a stopping point to re-evaluate solutions, saying that: “We are looking into all of our options concerning power sources so we can have a more cohesive solution across all our products”. While a timeline hasn’t been made public, they did confirm you won’t see new rechargeable units hitting shelves this year. 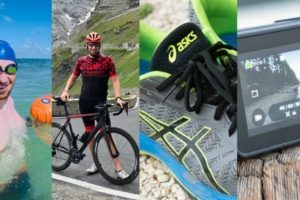 Finally, I asked them about their thoughts on the tsunami of lower priced power meters hitting the market, especially in light of so many new options in just the last four weeks alone. In the context of this conversation the ‘lower price point’ was mostly focused on sub-$1,000. Of course, with so many entrants poking at sub-$500 – that weighed on the conversation as well. They started off the discussion noting that at present based on current leadership direction that: “The goal of the company is to be a professional tool and a professional training system.” To that end, their product set was focused on being ‘rock solid and accurate’, one of the reasons why there’s been so many delays in the PC8 and associated software. They noted that there have been cases of people switching to a low-priced power meter, and then returning to SRM for higher quality data and reliability. I’d agree that’s probably true, but if you plotted overall SRM adoption against other competitors in the peloton over the last 3 years, you’ll see SRM use is undoubtedly declining with so many new competitors offering solid products at lower price points (or sponsorships). However, despite that mission statement they said the company is aware that focus isn’t addressing the needs of the broader market. 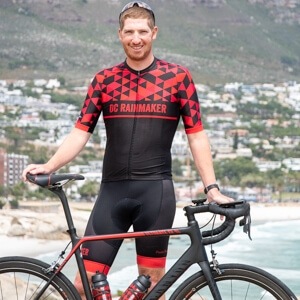 They also were very interested in how consumers would receive a sub-$1,000 SRM power meter, and what that might mean in terms of components, craftsmanship or even brand image for their product line currently seen as a professional tool. My response was that they’ll ultimately have little choice. The market simply won’t sustain $2,000+ power meters for long, especially when there are so many very accurate options at roughly half the price or more (i.e. PowerTap, Power2Max, some Quarq models, etc…). While I think at one point it was easy for companies like SRM to effectively say ‘Interest in lower price power meters will drive interest in the higher end units’, I think that’s a bit optimistic these days as the prices further diverge. One need only ask your local bike shop which power meters are selling the most these days compared to just 1-2 years ago. 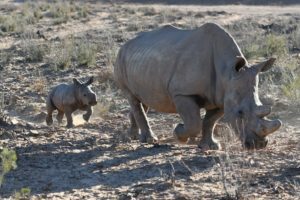 But I think that despite their current official stance on their current price point – the fact that they are looking at how to adapt to the changing market conditions is promising. And that they’ve gotten far enough in that discussion to think through things like manufacturing (wouldn’t be in Germany), component differentiation, and brand image means that it’s permeated deep into organizational thinking that some change will be required. Which I think is good news for the company. Ultimately, I see absolutely nothing wrong with a company offering different products with different quality levels at different price points. Especially as almost all successful mainstream companies in the market do that today. And as always, more choice is always good for the consumer. Surely F1 leads the field in real time telemetry and some partnership would reap benefits? or did I mis-read that you are only talking about ANT+? 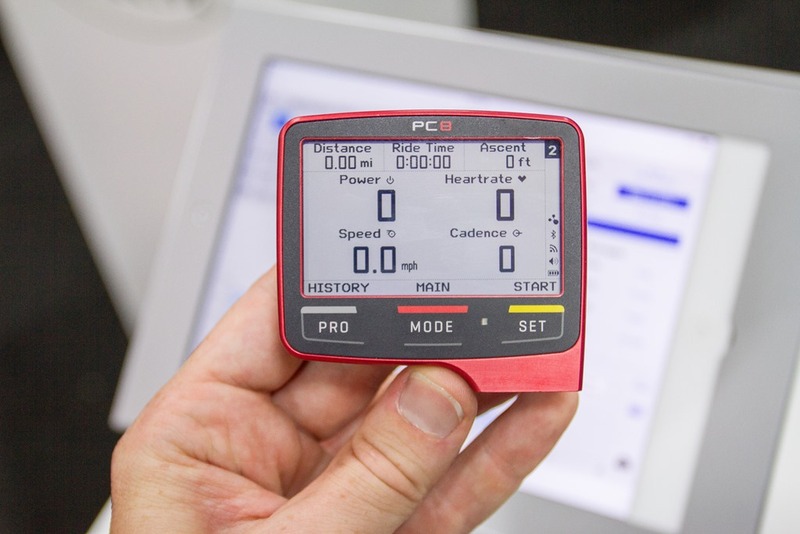 I’m talking purely power meter software that can pull in other training data (or even just straight power meter data). Meaning, you can’t upload a high speed power meter file to Training Peaks or Strava or anywhere else today. I appreciate SRM’s dedication to perfection but they are very much limiting their marketplace penetration and i think will soon be in danger of being irrelevant due to price. It’s just not a sustainable attitude when prices are driven ever lower. Having owned several Powertap and Quarq units (and now own two SRM systems and one Quarq), I hope SRM retains the focus on being the gold standard in data generation. i.e. I sure hope they don’t bandwagon onto the “power estimation via accelerometer” bandwagon just because they perceive to be losing market share. There will always be a market for those who want to know their data is rock solid, I’m among them. Though they will undoubtedly need to look at ways of getting their product offerings into some lower price points. Ideally, not at the cost of data quality and reliability. Dunno… my ‘power estimation meter’ seems to give me repeatable data that I can base my pacing, FTP, TSS, fatigue etc on. … also, heaps of people don’t want to spend $3k on their already very expensive bike for power metrics with the added benefits of having to send it back to the manufacturer for a battery change and calibration. It’s not all bad in my book though, because that PC8 Computer looks stunning; I’d own one in a second. Neither Stages, 4iiii, Garmin, Rotor LT or other less expensive devices are “power estimation via accelerometer”. I am not sure the point you are trying to make. The simple fact is SRM are being left behind and no-longer innovating in a market place that is becoming more competitive than ever. The fact that SRM has been dropped in the pro-peloton is a quite obvious example of this. The likes of Power2Max offer a well engineered and high quality product that is every bit as good as the over-priced SRM alternative. current SRM units have battery life of up to 3000 hours (depending on model). sending a unit back for a battery change every 6 years (for someone who trains 10h/week 52 weeks/year) is not that big a deal. an SRM will probably outlive your bike. “old” units continue to be reliable in the field for many years. just something to consider. every power meter has pros and cons; it is good for people to know what trade-offs they are making with a purchase, as not all are created equal. The fact that SRM has been dropped in the pro peleton is just a sign that other powermeter manufacturers are paying pro teams to run their powermeters. Nobody is shifting because they want to, they are shifting because of sponsorship/contractual reasons. Sky on Stages is the epitome of this. Evidence would suggest otherwise. A team like Sky would not compromise their power data accuracy and precision for a sponsor. They obviously feel that the data supplied by Stages is good enough. Furthermore it was interesting to note when Rotor was developing their Rotor LT power meter single pedal implementation they used a Power2Max to compare the data against. Given that this is a company where the cost of an SRM vs Power2Max would be insignificant in the overall R&D, they obviously felt that the Power2Max data was every bit as good as the SRM. SRM was first to market and had the best implementation for years. However today this is simply no longer true, they no longer produce innovative products and are late to market with over-priced products like the PC8. Teams are adopting other manufacturers products because they are as good if not better. Agreed! We need more high quality, lower price point power meters! Thanks for the post. I am just sitting on the fence waiting for a solid sub CAN$1000 ready to go power meter setup appears or someone can point me to a current setup. Do you know if PC8 will be compatible with the Di2 Wireless Unit (SM-EWW01) for reporting battery life, recording gear info, etc? FYI, the EWW01 (funny name!) only transmits gearing to a head unit (and currently only does so by reporting the numerical position of the FD & RD (e.g., “1,7” not “53,19”). it is rumored that shimano has more plans for it. any battery life reporting would go from power meter to head unit. SRM’s software currently does a very good job of displaying remaining battery life whenever one plugs in a PC7 into a computer…when used in conjunction with one of their meters. Thanks Eric! (I missed your post since I stopped following the comments). My question was not related to the PM battery, but to the Di2 system battery. It transmits this info, but I don’t know if the PC8 is capable of displaying it. 1Hz max. Hmmm that’s a surprise, there are some training applications for roadies where at least maintaining the 2Hz recording is of value. It’s funny though – with the Powercontrol IV you could get data at 10Hz. Mind you, until someone can provide crank rotational velocity data at higher frequency sampling than once per revolution, talk of a high recording rate for power data is a little moot. SRM track already has two 180deg seperated reed switches – it could easily provide event data twice as fast – firmware change only…. You are confusing torque sampling with ANT+ transmission rate. 180 degrees isn’t much better than 360 degrees. You need 90 degrees to get pedalstroke nonuniformity. Power2Max uses accelerometers for cadence, and claim high-resolution measurement. PowerBeat has a gyroscope, which should work even better (although user installation makes the torque accuracy a substantial question). Alex is spot-on correct, though. No way SRM can be “gold standard” as long as it uses 1 or 2 magnets per revolution, no matter how good its torque measurement. So does SRM actually have “higher quality data and reliability”? Based on what I’ve read of your reviews of other major power meters, it seems like the main companies (which you listed) all record at very high accuracy. I understand SRM focusing on that tag line of “quality and reliability”, but I wonder how much better (if at all) they execute that compared to lower priced competitors. DT – Ray’s going to update his 2013 Power Meter round up in the coming weeks. I race and train with a Stages and have had no problems – raced and paced two 70.3 with it. Also I do the bulk of my training rides on the Kickr and find that the power outputs/readings for the Stages (outside) and the Kickr (indoors) are close enough for pacing/racing. If I had to do it all over again, I’d prioritize the Kickr first and the Stages (or other mid-priced Powermeter second. The other obvious choice is a PowerTap on your race wheels – or on your high quality training wheels with a Disc Cover. Curious to see what Ray recommends in the coming weeks. Correct, I’m aiming for next week for the power meter roundup. And no, Stages is not carried by CT today (Stages is only available at local bike shops and through their own online site). and the added value of those high-end products, for that matter. They are obviously trying to create some artificial niche market where they can continue charging monopoly mark-ups, as they did before their was significant competition on the PM market. My advice: don’t fall for it. The added functionality, if any, is not worth the huge price differential. i think there’s a power meter for everyone. SRM accuracy and data reliability is superior to other devices currently on the market. not everyone needs or appreciates this, but for those who value it, it’s priceless. most people (not saying you, but many users) have no idea how accurate their meter is or isn’t. just ask people if they have verified the slope of their meter…ever. have they checked whether it reports the same zero offset in temperature-controlled environments within a workout (checking every few minutes)? it’s a royal pain, but when you do so, it can often expose some surprising things — even when someone sees a similar ZO at the start and end of a workout when checked twice. doing these kinds of tests can make one realize that some meters on the market are much more consistent and accurate than others. Please cite your study showing than an SRM is considerably more accurate and reliable than other products on the market. Such sweeping statements require proof. Regarding the zero offset and temperature compensation. Other companies, e.g. Quarq, are now offering vastly more sophisticated temperature compensation than is offered by SRM through the use of calibration points at multiple temperature points which are then used to produce a temperature compensation map. As others have pointed out. SRM might be accurate and precise in it’s sampling of torque but the resolution at which it samples cadence is very poor. This means that it cannot be used with the increasingly ubiquitous non-round rings and is subject to an error in the reported power if there is variance in the angular velocity of the crank during each pedal rotation. Other companies have overcome such issues with accelerometer and gyroscopic based cadence sensors, SRM has done nothing. 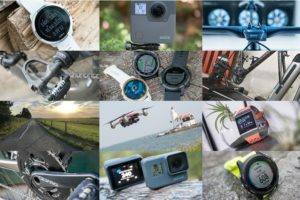 SRM are rapidly being left behind in an increasingly innovation market. The comment about Ant+ sampling rate is interesting. My understanding is that this has prevented some some companies from adopting it. One case I’m thinking of is the CompuTrainer. The makers of it say they can’t use Ant+ cadence because the sampling rate is too low in order to render their spinscan mode and they sample something like 200 times per second. Yeah, slightly different, but I know what you’re referring to. In their case they’re talking straight transmission rate. When I talked to them last week they said they needed 50hz for CompuTrainer. I quite frankly don’t believe it and think it’s mostly a cop-out to not understanding the technology. Nonetheless, high speed data on either ANT+ or BLE isn’t really an issue, companies like Stages do it today on BLE, and the guys behind the Aerostick are doing it on ANT+ at very high mind-boggling levels. Higher sampling rates are going to mean higher power consumption. Not a problem for a CompuTrainer I suppose. Both BLE and ANT+ offer a 1mb/s transmission rate. Of course processing this data in real time might pose some issues. It then depends how you store the recorded data but millisecond resolution is quite widely supported (FIT, TCX etc). SRM is on its way to becoming the “Leica” of the power meter market. Nice, accurate and uber expensive, it will soon become the PM of choice for the man who can afford anything while the remaining 99% percent of the users will be just as happy “shooting their Canons and Nikons”. The regular age group athlete will have to be crazy to pay 3-4x for a product that does nothing extra when compared to Power2Max, Powertap, Quarq etc… while the pro field is limited to a few hundred users who will use anything their team or sponsors provide anyway. It’s not looking too good for SRM! I couldn’t agree with you more Marius. What’s used in the pro peloton is nearly irrelevant to the average racer or age grouper. After all, unless you tell me that Chris Froome personally paid out of pocket for his SRM to train on – because he’s 100% hassled by the potential 1-2% difference max between his (Stages or Quarq or Garmin or Powertap) – I don’t care what they use. For the most part they are paid to use these items and they use them regardless of what they think. It is notable that there were very few, if any, Garmin riders using their PMs – although that could be a pedal issue – why those are on original KEOs beats the life out of me, maybe a Look issue? Anyway, this game is now all about product differentiation – and I’m with you that we’re seeing more interesting and competitive innovation from Power2Max, PowerTap, Quarq and the likes of Stages than from SRM – a real shame too. Final thought – Mercedes and BMW both offer a WIDE range of products at a wide range of prices. One might argue that SRM could continue to support their silly priced high end by attracting consumers to their more reasonably priced ‘mid-ranged’ offering. I will leave the ABSOLUTE argument over accuracy up to Ray, as that’s his expertise. Same time all the options mentioned above are ‘good enough’ for most athletes and it’s one of the classic errors of business to tell your customers that they’re wrong. At a minimum SRM is getting out Marketed. Please tell me why I need your accuracy and for that matter that this accuracy you speak of is ‘real’ – and important to my life. At a maximum these guys got caught out and missed the innovation/efficiency of manufacturing boat while the industry moved on. That’s a classic. Only time will tell where they end up. So long as the last man standing PMs are reasonably accurate (+/- 1.5% or so) we as consumers win. Compare and contrast the PowerTap strategy to SRM. And consider that PowerTap has, so far as I know, been within this level of accuracy to SRM for a long, long time. It should be noted that AG2R riders buy their SRM power meters out of their own pocket. I have no idea what kind of discount they get, but they are not sponsored by SRM and their team doesn’t pick up the cost. As for Garmin, the cleats are not by Look, but Exustar, so you are not going to see Look blade cleats coming to the Garmin. My guess is, in a year the average power meter will cost $500-700 with premium meters topping out at $1200. If SRM doesn’t quickly adapt, they will join the long list of companies that refused to change their model and disappeared. I have no doubt there are rare cases of pro riders buying gear as a one-off here and there. But when it comes to an entire team ending up on the same equipment the cynic in me wonders if that’s not like how I just ‘bought my own’ dinner, only to have it re-reimbursed later from the team (company in my case) in some way/shape (not picking on SRM here, just a general statement). I agree. The only argument I can fathom for needing the absolute accuracy of a SRM is for making comparisons between riders when trying to decide who’s going to be your guy at the TdF this year. Even then it’s only one part of the equation. The rest of the time I think relative accuracy (ie that the PM is able to accurately track improvement over time, and from session to session, is much more important to training IMO. Funny enough, Froome/Sky did pay for the Garmin head units at retail price. Hence why they are allowed to tape over the logo with a Stages version. I guess to answer a few comments at once, I don’t agree that SRM is fundamentally any more accurate than a Quarq or PowerTap (or most other power meters) on the market. All power meters have quirks, and the SRM is no different there. unfortunately, consistency (what you label as “relative accuracy”) is often hand-in-hand without accuracy (absolute). i.e., without accuracy, consistency is questionable. anyway, the consistency-is-what-really-matters gets trotted out quite often. it SEEMS plausible. in practice, though, you get a power meter but then when you have a problem they send you a new meter. or you decide swapping between bikes is annoying and you have a bit more $$ and buy a 2nd meter….or 5 years from now there is a newer/better/cheaper power meter out there and we all switch to it. if your data is consistent but not accurate, comparisons year over year become meaningless. it SEEMS trivial when starting out, but as you continue training you discover that people work all year for a gain of 5-10 watts. inaccuracy can get VERY frustrating. many people will not realize this is an issue at all until they get a few years in. it’s not their fault….no one really talks about it. no meter is immune to problems, but some have fewer than others. I too would like to know how much more accurate the SRM solution is. Regardless, the PC8 is a work of art. SRM is on the way to being like the iphone, the blackberry, the star-tac — benchmark gizmos that got left behind by a changing market. I’m a bit sorry to read that manufacturing being moved from germany is a good sign. It’s not and i don’t think it would happen because german usually think twice before delocating (and time shows they are mostly right). One can manufacture a sub 1000 powermeter in germany the problem is not here. Most things can be automated easily to some degree, some assembly and stitching remain to be done for a low volume product like this but it won’t impact the cost that much. Productivity in europe is better than most american think, just look at the numbers. Units are already made in the US today. 😉 That started in 2009. 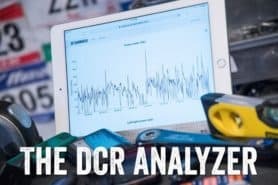 I think srm is in the edge rigth now: every single powermeter rigth now is between $ 500- $ 1500 with really similar accuracy and in the top of range almost same features, basically rigth now you have almost the same product for the half price and probably same- similar quality(in some cases aka power2max quark), the differences between srm and other competitors rigth now dont justify the price gap; the business model needs a reroute process now. I am not sure why people are assuming that SRM is being dropped by the pro peleton. There are several pro tour teams only on SRM. Several other teams with other power meter sponsors have many bikes unmarked still on SRM as well as teams like SKY and Garmin switch back to SRM. I have owned 3 quarqs and a couple SRM’s for various bikes and have yet to experience any issues with my SRM’s while having to send quarqs back on 3 occasions as well as Garmin 500’s. The price point is certainly high but it’s absolutely earned as far as reliability is concerned statistically. They do have affordable options as well that are half the cost as the fancy models. As far as repeatable data is concerned, that’s fantastic but having repeatable AND comparable data that is reliable is also beneficial in racing as there is more than strictly personal training to consider. I suppose it’s simply a question of needs but saying that SRM is too expensive because a 300 dollar iBike or something has repeatable data is just is good …. is a bit off base. Does the 1-second recording rate just apply for the GPS data or also for the power data sent from the Powermeter? If they cut back the power recording to 1xsec from 4xsec the pc 8 is no better than any garmin for me. I was anticipating the pc 8 since I have a road SRM but a powertap on the track. A computer that can record both is necessary for me. 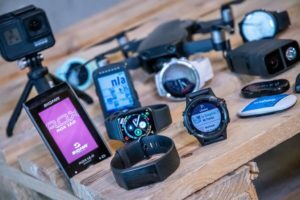 The Garmin 500 is ok, but has it’s flaws. SRM does great products and is located in the region where I live, so of course I’m a fan of their product. I have trained with powertap and SRM meters. During IM Lake Placid this year there was heavy rain. My Garmin head unit lost communication with the SRM meter do to the large amount of water coming off the front wheel. The SRM PC7 head unit did not loose signal and saved my first half of the bike on pacing. After the rain slowed the Garmin started to work again. 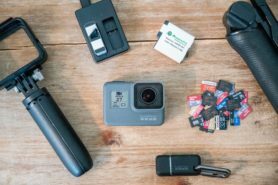 Based on this experience I would say the SRM PC head although simple is a better product for recording data than the garmin or other third party heads. Is the PC8 still going to be released in December? Hey, does the SRM PC8 support Virtual Racer/Partner functionality to ride against your past rides? That’s probably the only really useful feature of the Garmin 500 that I have now and I’m considering the PC8 as an upgrade. Any updates on when the PC8 will be shipping to consumers? Also, it was originally reported that the PC8 would do wireless data transfer to an IOS app, but the current product page on the SRM site seems to indicate that data transfer is done via magnetic plug… Any info on this? It is an good question after Eurobike…. 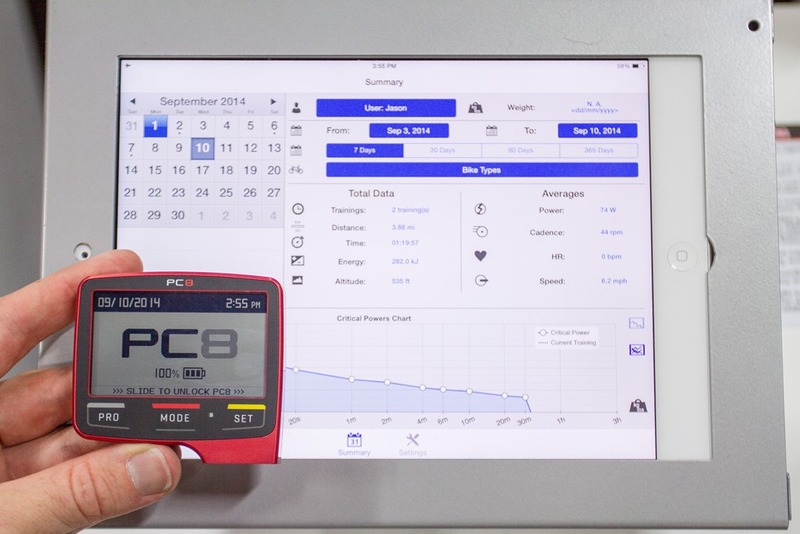 DC, do you think choice is better take an PC8 or new garmin 520 … ? I’ve been trying to find a listing of all of the fields which can be configured into the PC8’s display and have been having a little bit of trouble. Does such a list exist?